Brand development for wifi marketing. Wireless connectivity is all around us be it in a coffee shop or a retail environment and used by many businesses and organisations to help deliver their brand message and advertise to their customers, visitors and supporters. 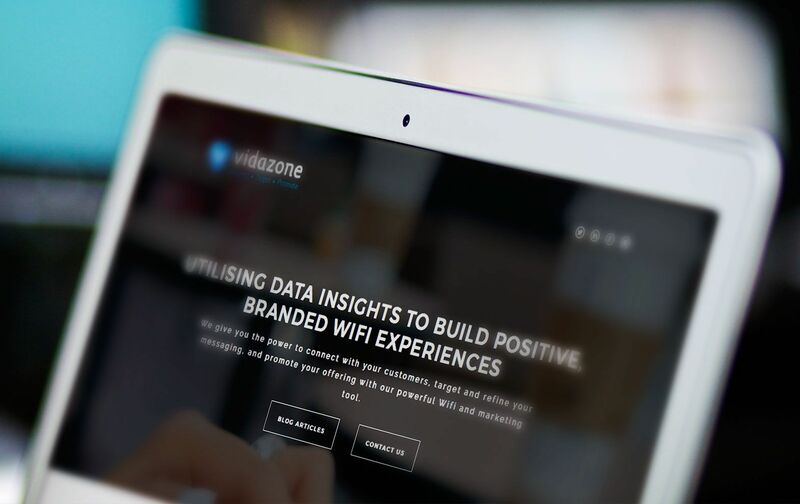 Vidazone, with it’s offices based in Peterborough, helps businesses with secure and trusted WiFi connectivity for staff, visitors and customers alike – for example, coffee shops, retail etc. Engaging online visitors and making improvements business performance in one solution. Brave were really excited to be invited to work on the Vidazone project and assist them from the beginning to launch. Vidazone were looking to undertake a branding exercise to clearly define their visual and written messaging. Projecting the brand and defining an emotive attachment to maximise a financial return has become increasingly difficult in our increasingly crowded world and even more so in this particular sector. The feeling is that the visual and written messaging needed to be implemented to clearly communicate the core brand values and proposition. 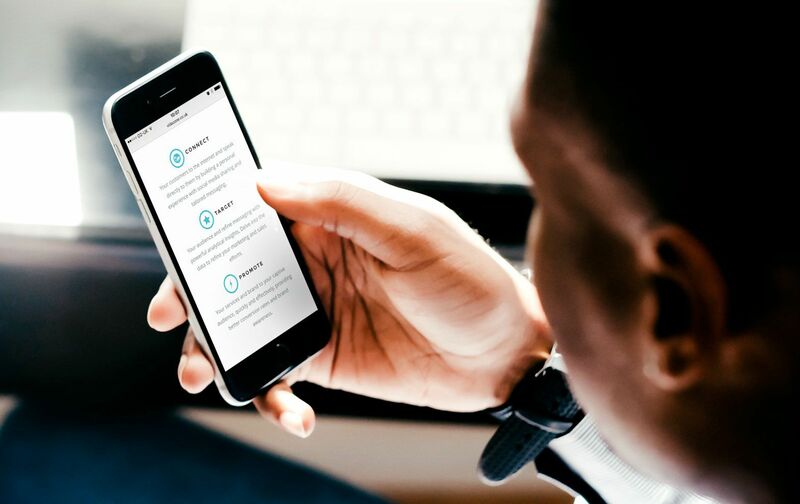 Brave stepped up to the mark by understanding the product and the intended profile client such as; retailers, hotels, universities, councils authorities through to car dealerships, events and coffee shops. 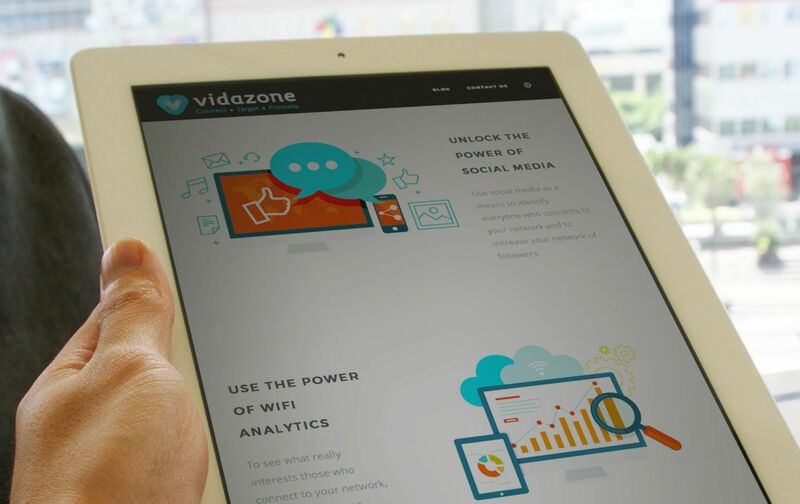 Vidazone Website wanted a seamless visual appearance when introducing their product and one which showed they were not only cutting edge but could also demystify the technological aspect so as to simplify the proposition. Brave built a modern, simple and bold website in appearance on WordPress, the perfect platform for this project. It is balanced to ensure that Vidazone’s expertise, huge experience and super commitment is on display. As Vidazone is such a cutting-edge company, it was so very obvious to apply a modern responsive structure and design. The end result with regards to the website matches up with the brand we developed and we feel confident that the impression you get is one of professionalism all the way through each asset created.